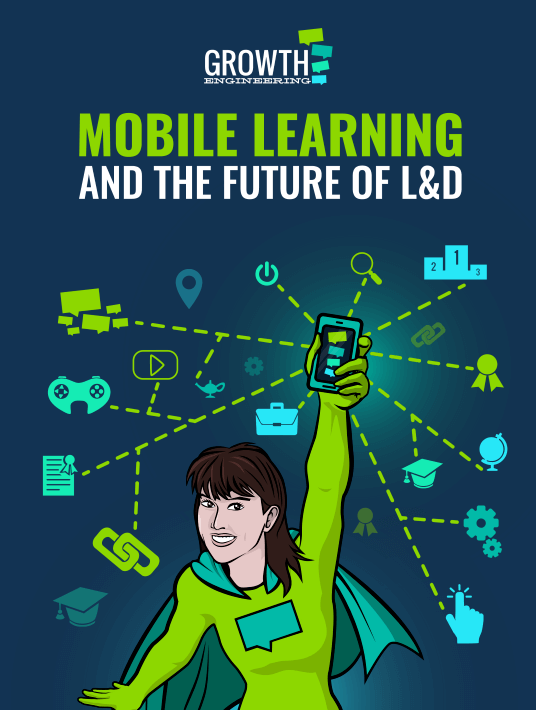 The future of mobile learning is sure to change the face of L&D. Instead of tying the training down to a rigid structure, mobile devices let learning campaigns grow in a more organic way. This means that the learning assets will remain more relevant since the learners are constantly updating them. Discover why mobile is so important and how you can use it in your training initiatives. But how will mobile technology affect your training initiatives? For a start, your learners won’t see your training programme as an inconvenience or a distraction from day-to-day work. In fact, we’ll begin to see the hidden 90% of informal learning coming to the fore. The learners will take charge of their professional development and challenge each other to go further. In the future, the problems faced by training managers will be entirely different. Rather than struggling to engage their learners, they’ll be trying to keep up with them! Don’t fall behind – here are a few things you can look forward to. In the past, employee training was a sheep-dip process. Every learner received the same training regardless of their strengths, weaknesses, or personality. In the past few years, organisations like Amazon have shown the value of delivering custom content to each individual user. By showing their customers the content that matters to them, the user is more engaged and ultimately spends more money. As the biggest giants in mobile turn to virtual assistant technology (Google Now, Siri, Cortana), mobile learning will likely follow suit. Employees will find recommended training on their mobile devices depending on their roles and their previous assessment scores. It won’t necessarily replace learning managers, but it will reduce their workload, letting them focus on new engagement strategies. As technology evolves, it keeps getting smaller and smaller. Right now, smartwatches are gaining popularity, even if they are just an extension of the smartphone. Although Google Glass didn’t have the success that everyone predicted, the concept of head-worn technology isn’t necessarily dead. Seers have already predicted smart contact lenses that can relay additional information straight to the wearer’s eyes! Depending on how advanced it gets, wearable devices can transform the way knowledge transfer works in organisations. At the very least, wearable technology will be a huge boost for social learning. 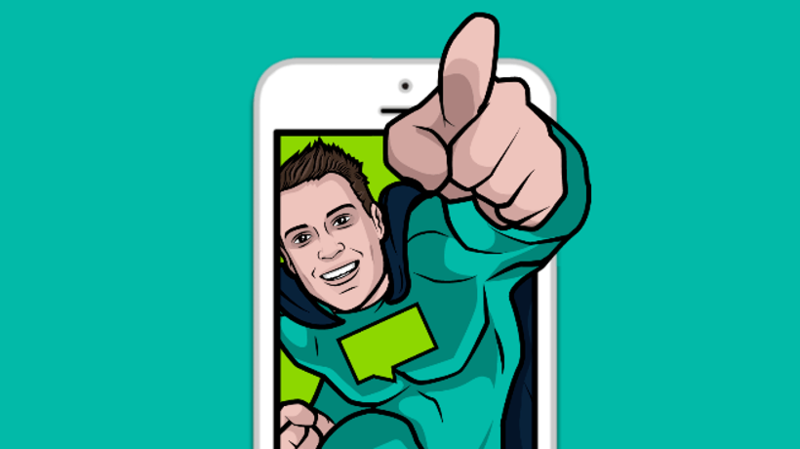 Instant messaging will become a more prominent part of the L&D process (and working life as a whole), letting people find the expert they need to answer any problems they have. Should an iteration of Google Glass see commercial success, things could get very interesting, especially when coupled with Augmented Reality. Augmented Reality is just like the world you’re used to, with an extra layer on top of it. The current technology lets you look at the world through your phone’s camera and see extra information. For example, if you look down the street, the display might show markers in the relevant places highlighting businesses or points of historical interest. The possible applications in L&D are really exciting. As we know, learning is more effective if it’s delivered when it’s needed. Learners are also more likely to retain it when they receive it in the appropriate context. Imagine being able to add virtual tags to objects in the work environment that can give a little more information to the viewer. That would cut out several steps in the process of getting the knowledge they need. In the past, eLearning consisted of a pretty rigid format. In the same way a book is a bunch of pages bound together, an eLearning unit used to be a set of screens with a quiz at the end. We’re already seeing a shift in the way Instructional Designers think about creating learning content. As mobile learning rises in prominence, we expect to see even more changes for the better. To fit with user behaviour, the trend for microlearning and chunked content will continue. Initially, people will develop this kind of content out of necessity for mobile displays. Once they see how effective it is, they’ll favour microlearning for the entire learning programme, regardless of the device. Games are among the most popular apps on the app store. This tells us a lot about what people use their mobile devices for, whether they’re killing time with a casual game or getting immersed in a more story-based game. Meanwhile, in the rest of the L&D sphere, game mechanics have been used in Learning Management Systems to give learners an incentive to plough through their training content. 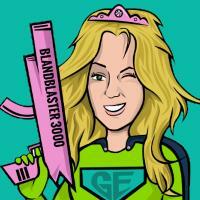 We can see gamification and game-based learning having a huge impact on the mobile learning of the future. Instead of taking the same prescribed assessments every couple of months, learners will challenge each other with questions that are relevant to their work. In this never-ending battle, their competitive spirit will keep them going through their training programme. NFC, or Near Field Communication, is the magic behind tap-and-go services like Apple Pay or Google Wallet. A small chip allows wireless data transfer between two devices in close proximity. Aside from reducing queues at the checkout, people use it to transfer files, contacts or directions between two mobile devices. Although this might not form a critical part of the L&D initiatives of the future, it’s very likely that learners will make use of NFC technology. Just as it’s now second-nature to hit the ‘like’ button on a social post, tapping phones to share information will be a habit that we simply acquire. This behaviour will make it even easier for informal learning to blossom and it’ll help create a knowledge sharing culture. There you have it – the future can hardly come fast enough! With all of these exciting new technologies on the horizon, it’s down to learning technology providers to create solutions that can integrate them all. Find out more about creating your own mobile learning initiative in our new white paper. Just click here to get your copy!